Camelot Catering are a rapidly growing supplier of buffet food to corporate Bristol. With lots of customer requests to see their menu and frankly the expectation of a website they came to me to make it a reality. 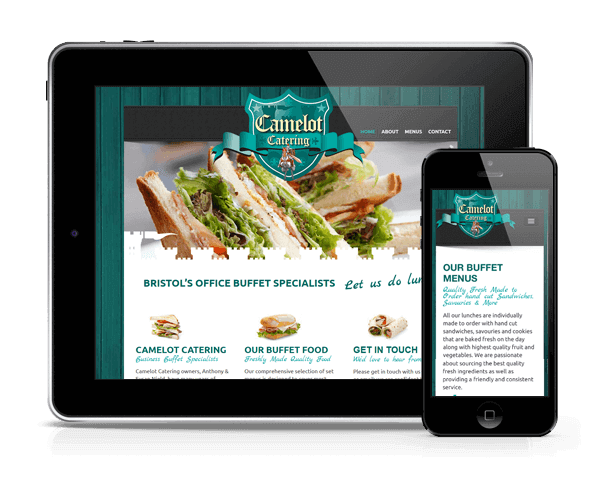 Camelot Catering is a distinctive brand and it was important that was true of their website too. With several Camelot touches to the layout, a healthy amount of white space and painstakingly sourced photography the brand is carried throughout the site. The website is also fully responsive and can be comfortably accessed via iPhone, iPad and desktop machines; really helpful for those emergency sandwich runs!